The global demand for food will not let up anytime soon, with the planet’s population predicted to hit nine billion by the year 2050. Resources are already strained, so the logical thing to do is to develop alternative sources of food for all these humans. A team at Virginia Tech led by professor Percival Zhang developed a way to transform indigestible cellulose into starch, an advancement that could revolutionize the way we feed the hungry people of the world. No longer would we have to rely on huge crops that require much water and tending; we could simply synthesize food from literally any plant matter. Starch, being one of the most important components of the human diet, should comprise about 20 to 40 percent of the daily calorie intake for everyone. 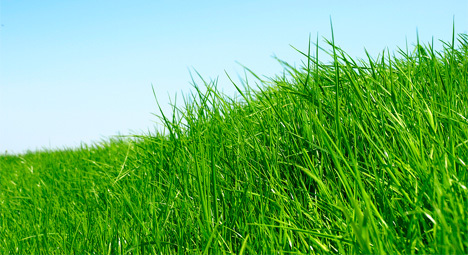 But in places where nutritious plants are scarce, it can be difficult to meet this goal. 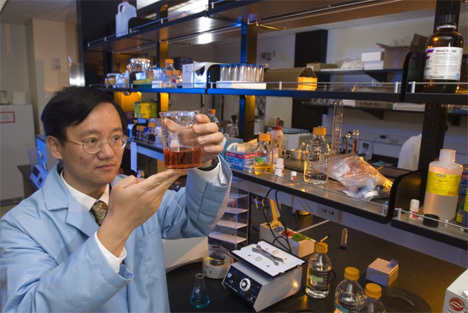 The process developed by Zhang and his team allows approximately 30 percent of cellulose from any plant material – not just plants traditionally considered food, and even including agricultural waste – to be transformed into amylose. The starch is a good source of fiber and has been proven to reduce the risk of obesity and diabetes. The other 70 percent of the cellulose can be used in the production of ethanol fuel, while some of the amylose could even be used to make biodegradable packaging. See more in New Materials or under Science. April, 2013.